Soundmatters has launched a new portable speaker in the form of the Soundmatters foxLv2 AptX Bluetooth speaker, which has been built on the technology from previous Soundmatters Bluetooth speakers. Soundmatters has now added aptX support to their new foxLv2 AptX speaker, which has been designed to provide CD-quality music and improved sound/picture sync for movies and gaming. 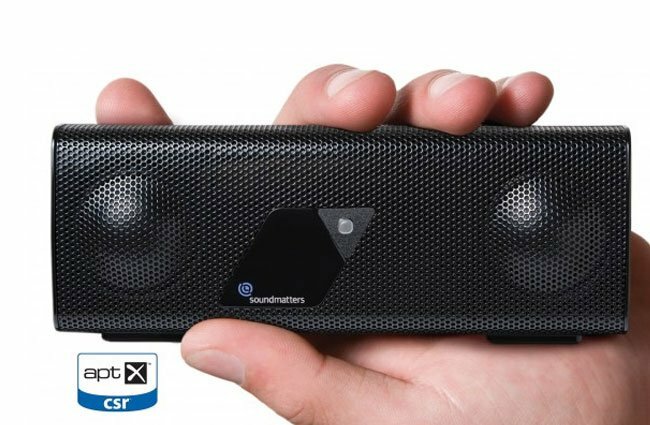 The Soundmatters foxLv2 AptX Bluetooth speaker is now available to purchase for $200 and measures just 5.6″ x 2.2″ x 1.4″ in seize and is equipped with a rechargeable battery capable of providing up to 12+ hours of playback on a single charge.